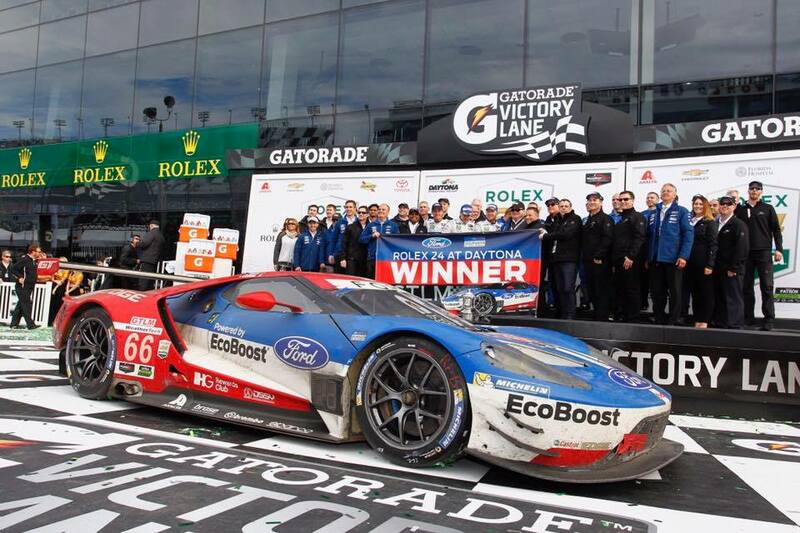 (Jan 29, 2017) — With a brand-new car for one of the top manufacturers in the IMSA WeatherTech SportsCar Championship’s GT Le Mans class, and three new manufacturers in the GT Daytona class, handicapping the GT cars in the 55th running of the Rolex 24 At Daytona would be tough. In the end, it was impossible. The new GT Le Mans car was the Porsche 911 RSR for the two-car Porsche GT Team. 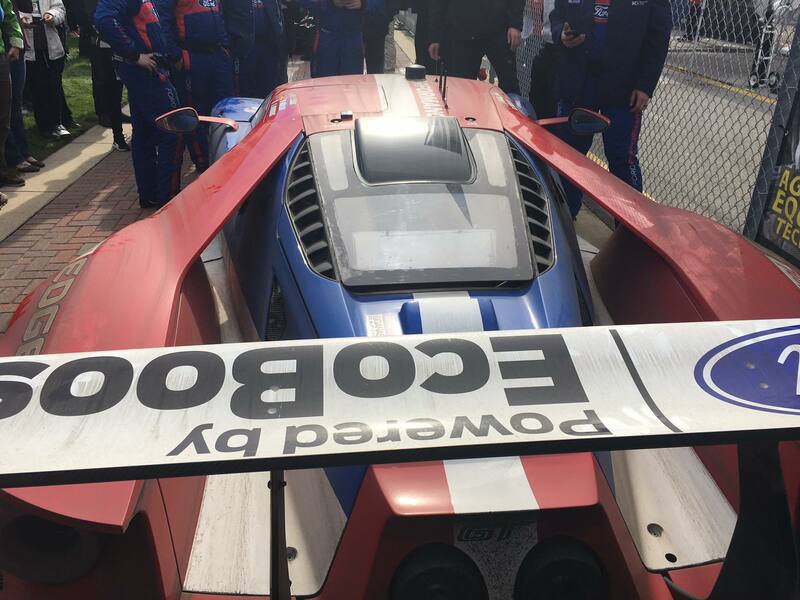 It may look familiar, but the traditionally rear-engine 911 became a mid-engine race car, and Daytona was the world track debut of the car. Would it be fast? Would it last 24 hours on its first time out? Yes, and yes. Both the Nos. 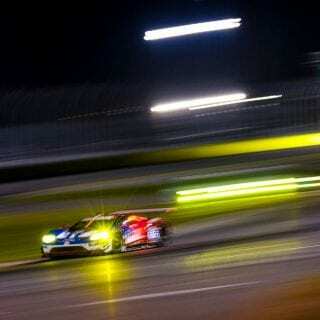 911 and 912 teams contended, and the No. 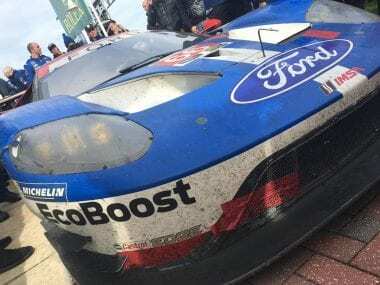 911 did better than that, challenging for the win at the end but settling for second, behind the favorite, the 24 Hours of Le Mans-winning No. 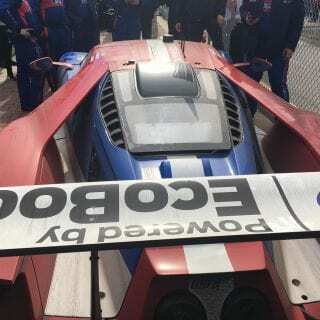 66 Ford Chip Ganassi Racing Ford GT, which edged the Porsche by less than three seconds after 652 laps of the 3.56-mile Daytona International Speedway infield road course. 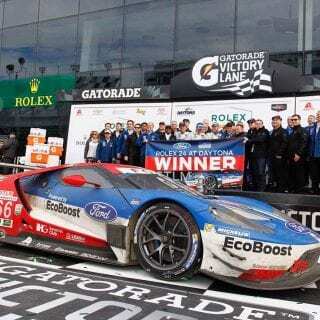 The win went to the team of Joey Hand and Dirk Mueller, aided by IndyCar star Sebastien Bourdais, the same trio that took the Le Mans class victory. 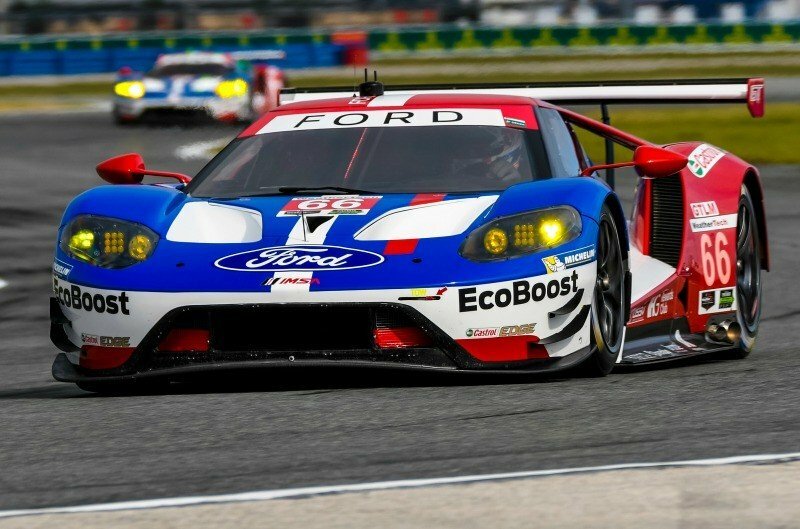 It was a matter of unfinished business for Ford, which debuted the racing version of the Ford GT here in 2016, and did not fare well. 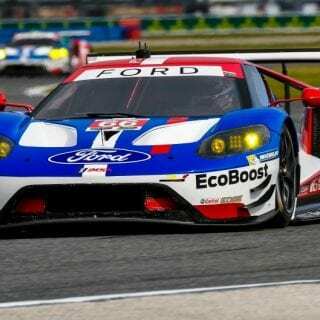 Ford brought its two North American-based GTs, as well as its two European-based cars, in an all-out assault on the Rolex 24. And it took all four: While the No. 66 won, second was the Porsche, third was a Ferrari, fourth was a Chevrolet Corvette. 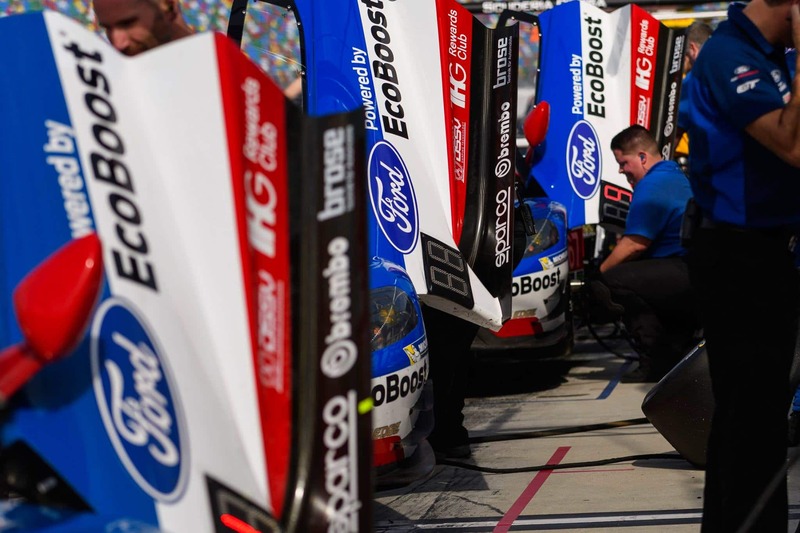 And the fastest lap of all four of those cars was less that one half-second apart, and the top seven cars were all on the lead lap. Third was the strong-running No. 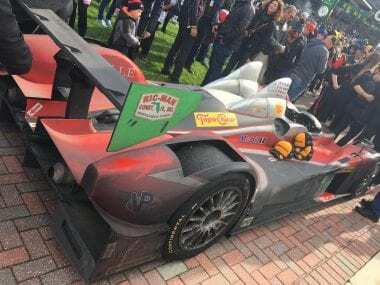 62 Risi Competizione Ferrari 488 GTE driven by James Calado, Giancarlo Fisichella and Toni Vilander, followed by the No. 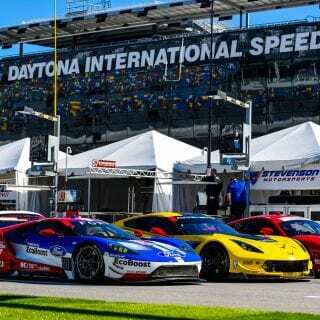 4 Chevrolet Corvette C7.R of Corvette Racing, with drivers Oliver Gavin, Tommy Milner and Marcel Fassler. 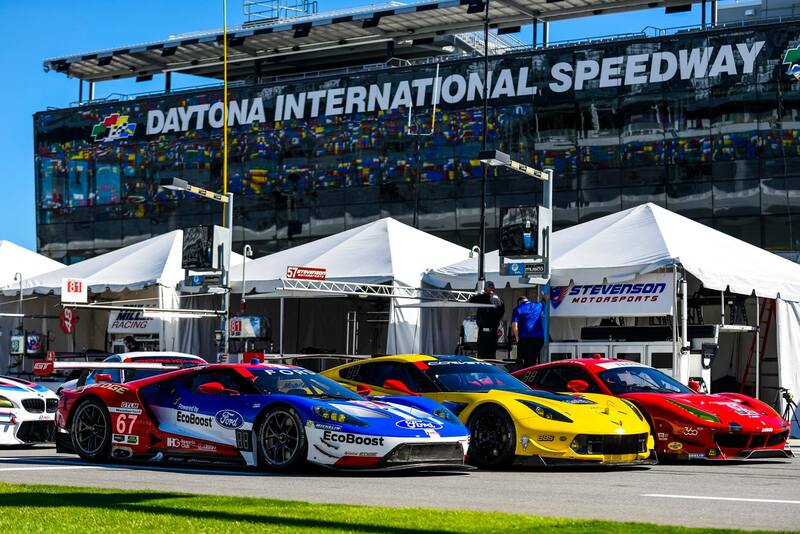 In the GT Daytona class, last year’s decision to adopt the global GT3-class rules has generated more interest from manufacturers, and more entries: The Mercedes-AMG GT3 and Lexus RC F GT3 made their WeatherTech Championship debuts here, and the Acura NSX GT3 has never raced anywhere until this weekend. Even so, the GT Daytona win went to the No. 28 Alegra Motorsports Porsche 911 GT3 of Carlos de Quesada, his son Michael, Jesse Lazare, Daniel Morad and Michael Christensen, not a team among the early picks. 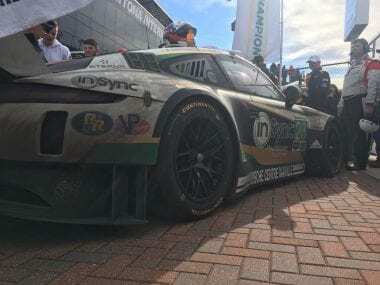 The younger de Quesada, Lazare and Morad all are 2016 champions of IMSA-sanctioned Porsche GT3 Cup Challenge series in the U.S. and Canada. Second was the No. 29 Land-Motorsport Audi R8 LMS GT3 of Christopher Mies, Jules Gounon, Connor De Phillippi and Jeffery Schmidt, just 0.293 seconds behind the winning Porsche. Third was the top-finishing Mercedes, the No. 33 Riley Motorsports-Team AMG car of Ben Keating, Jeroen Bleekemolen, Mario Farnbacher and Adam Christodoulou. The top-finishing Acura was the No. 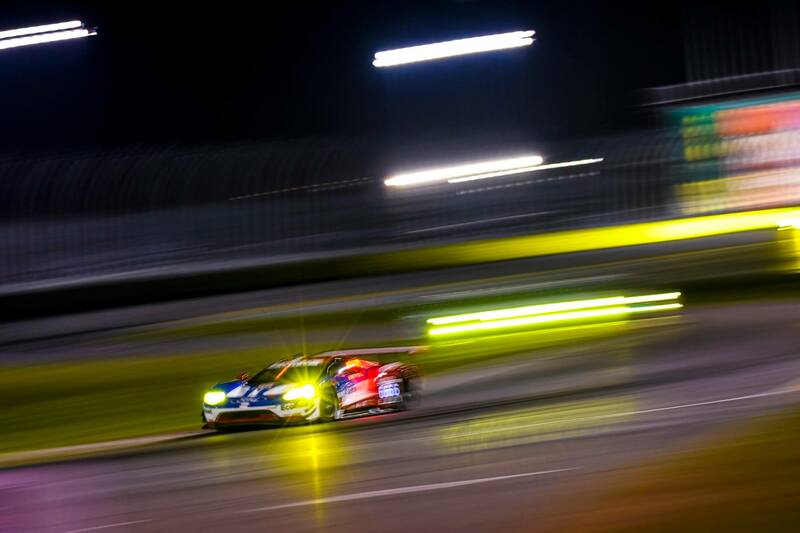 86 Michael Shank Racing NSX GT3 of Jeff Segal, Oswaldo Negri, Jr., Tom Dyer and Ryan Hunter-Reay, which finished fifth. And of the two Lexus RC F GT3 cars of 3GT Racing, the No. 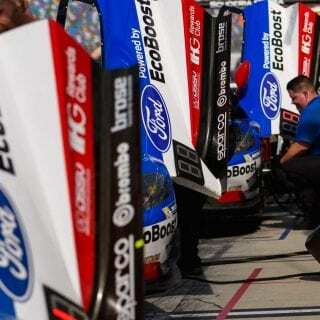 15 of Jack Hawksworth, Robert Alon, Austin Cindric and Dominik Farnbacher came in 36th. 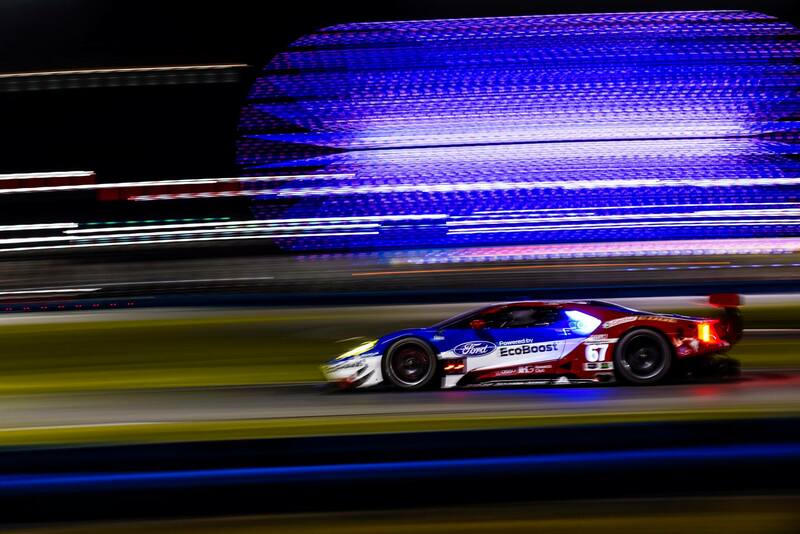 Next up: The Mobil 1 Twelve Hours of Sebring Fueled by Fresh From Florida, March 15-18. The Performance Tech driver lineup of James French, Kyle Masson, Nicholas Boulle and 17-year-old Patricio O’Ward is one of the youngest in the history of the race, but they did what they had to do. 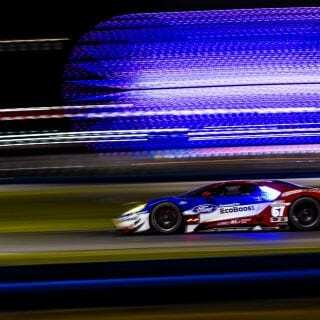 The drivers picked up the Prototype Challenge class win in the Rolex 24 at Daytona event. 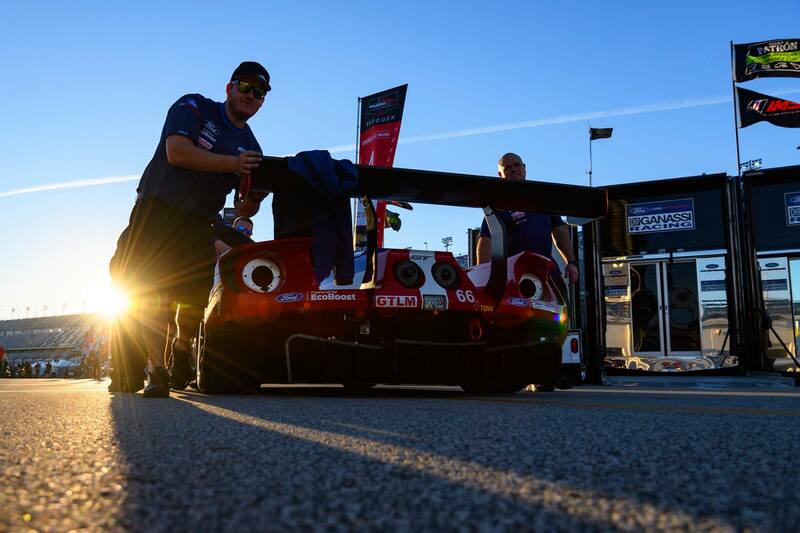 Click here to view overall race results as well as the race report for the Prototype class. Wayne Taylor Racing picked up the overall win.